In the vicinity of Angers we have seen two samples of extraordinary tapestries. 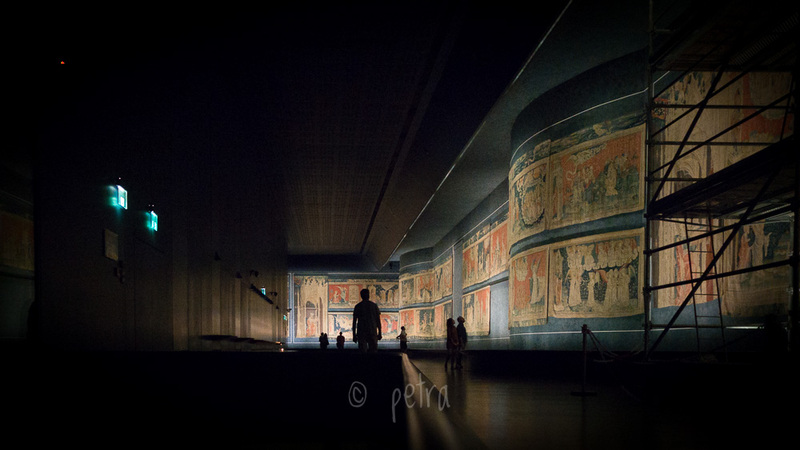 The Apocalypse – a 100 meter long medieval tapestry commissioned by the Duke of Angers based on the Apocalyps of Saint John – apart from its size and age, tells a story of human devotion against a backdrop of terror and suffering. The other, the Grand Tapestry of Rochefort-sur-Loire tells a story of connectedness and citizenship. The latter is a contemporary project by Sandrine Pincemaille which seeks to ensemble the local people of Rochefort-sur-Loire on a theme of art, craftsmanship and togetherness. As everyone can participate in this 3-year project it ensembles people and also brings them in contact with art as such and the craft of tapestry. As the project will finish November 2016 you better be fast if you still want to participate.